EXXARO Resources kept the market guessing as to whether it would participate in the bidding for the South African thermal coal assets of South32, saying that merger and acquisition activity would be measured against internal, brownfields growth. However, its participation as a standalone or in a consortium bidding for the 28 million tonnes/year (Mt/y) mines, including entitlement through Richards Bay Coal Terminal (RBCT), might not be the slam dunk it first seemed. Responding to questions following the firm’s year-end results presentation, Exxaro Resources CEO, Mxolisi Mgojo, said that organic growth had become a strategic imperative as the company may decide to accelerate production increases in order to “maximise value” from its long-life resources. In addition, pressure on the company to secure additional entitlement through RBCT to support existing production growth was not as significant as previously thought as rival coal producers would struggle to fill their entitlement capacities in the future as resources dwindled. In terms of South African thermal coal resources, Exxaro Resources owns the most equal to 38% of the country’s total followed by South32 which has 32% of all coal resources, according to recently published research by Sibambene Coal. “There are winds of change regarding sentiment to fossil fuels and we take this seriously,” said Mgojo in wrapping up his results presentation. “The way we are looking at resources is not that they are long-life, but how we can maximise value earlier so that whilst there’s certainty we can maximise value for stakeholders. “That talks to how we manage capital allocation … We look at our resources through the lens of a value map,” he said. The difficulty of permitting new thermal coal mines across the globe, especially in districts such as Australia – a powerhouse in the seaborne coal sector – could present opportunities for Exxaro to leverage sunk capital on existing projects, he said. The environmental, social and governance investment criteria that was being increasingly applied to mining firms by investors conscious of carbon exposure could lead to a dearth in projects. By way of example, Exxaro is hoping to begin first production from its Belfast export mine in Mpumalanga province in the first half of this year – a year ahead of initial first production expectations. The company is also giving thought to expanding production from Belfast. “We are already looking at phase two of Belfast so we can double up on the export numbers,” he said. Belfast has been scoped to produce 2.7Mt/y of thermal coal at a capital cost of R3.3bn. “Mafube has a phase two, so how can we double up,” he said, referring to the Nooitgedact expansion project. Mgojo said brownfields expansion of this ilk would involve lower cost of capital compared to merger and acquisitions. 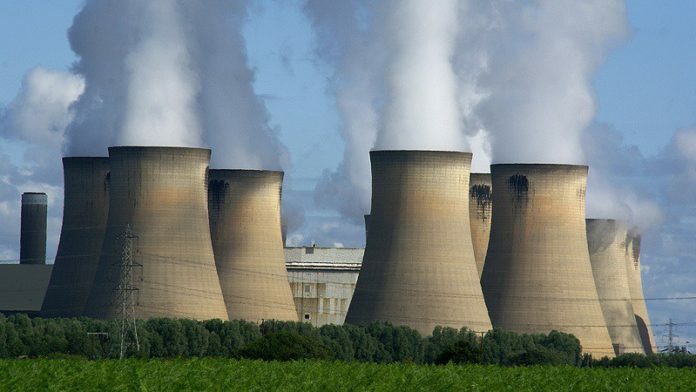 The company was also considering how else it might utilise Thabametsi, a coal resource in Limpopo province which is currently set aside for a coal-fired independent power producer project with Japanese firm, Marubanei. However, the joint venture is struggling to secure funding – exactly the scenario Mgojo sketched as capital allocation for new fossil fuel projects dried up. Exxaro currently has projects worth R15bn in capital expenditure underway providing approximately 12Mt/y of new or replacement coal.